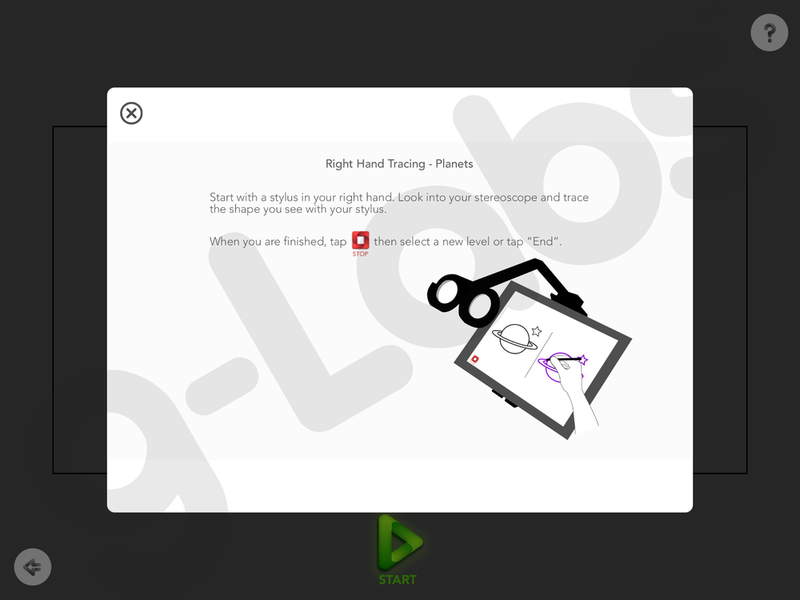 Description of the Left and Right Hand Tracing - Planets exercise in the Opto vision training app for iPad. This Cheiroscopic Tracing exercise presents a simple line drawing to one eye. The Patient is then asked to look though the Stereoscope for iPad and trace over the line line with a stylus. The vision care specialist can then compare the tracing to the image to make assessments on spacial perception. 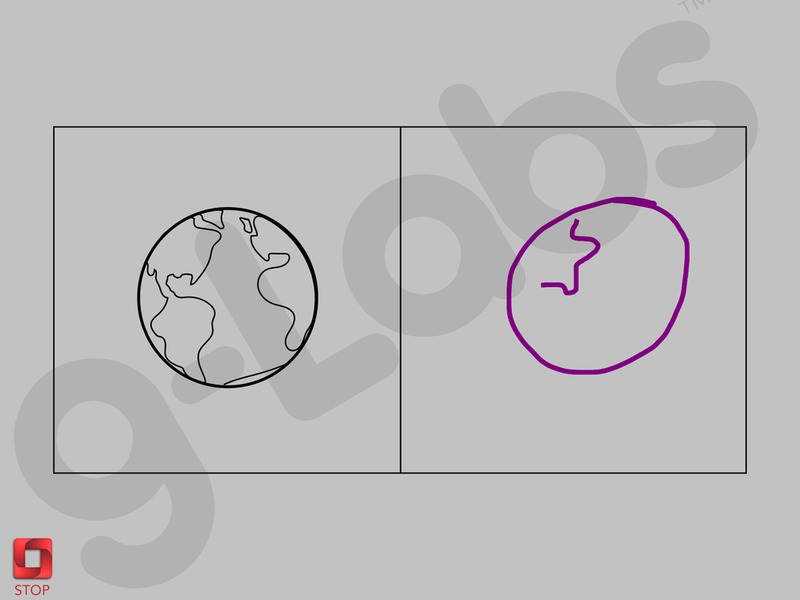 This exercise is offered for both tracing with the right hand, and tracing with the left hand. How to Purchase: Available as an in-app purchase in Opto, the vision training app for iPad. Download Opto and find "Left Hand Tracing - Planets" and "Right Hand Tracing - Planets" in the in-app library of exercises. Available as an individual exercise ($3.99 USD each) or at a discounted rate when purchased with other exercises in "Expansion Bundle 1" ($79.99 USD). Download Opto for iPad to access the "Left Hand Tracing - Planets" or "Right Hand Tracing - Planets" exercise.